In celebration of Black History Month, I’ll be celebrating black authors by sharing a book a day written by a black author and that has a black main character. Some of the authors I’ve read others are new to me and will be added to the ever-growing TBR pile. Anyway, I remember when this book came in and read the summary, I thought maybe I’ll add this to my diversity reading list for 2017. A book that has love, scandal, loyalty or lack thereof, cover ups. Sadly it didn’t make the list because I decided to go with books already purchased. 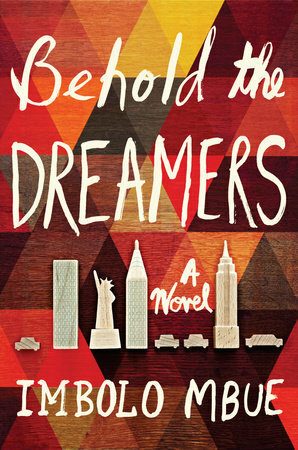 Jende Jonga, a Cameroonian immigrant living in Harlem, can hardly believe his luck when he lands a job as a chauffeur for Clark Edwards, a senior executive at Lehman Brothers, in the fall of 2007. Clark demands punctuality, discretion, and loyalty—and Jende is eager to please. Clark’s wife, Cindy, even offers Jende’s wife, Neni, temporary work at their summer home in the Hamptons. With these opportunities, Jende and Neni can at last gain a foothold in America and imagine a brighter future. Then the financial world is rocked by the collapse of Lehman Brothers. Desperate to keep Jende’s job, which grows more tenuous by the day, the Jongas try to protect the Edwardses from certain truths, even as their own marriage threatens to fall apart. As all four lives are dramatically upended, Jende and Neni are forced to make an impossible choice.